Pediatrics editorial cautions against overreacting to ambiguous findings but advises rethinking which children need phototherapy. Black triangle indicating additional safety monitoring requirement for CHAMPIX in the EU has been removed. European regulators have lifted a warning on Pfizer's smoking cessation drug Champix - called Chantix in the United States - after a clinical study concluded it did not appear to increase the risk of neuropsychiatric side effects. About 10 percent of the 9,766 adults surveyed between April 19 and May 16 use the devices, the same percentage as in a similar Reuters/Ipsos poll in May, 2015. This year, however, a growing percentage of participants expressed negative attitudes toward e-cigarettes. It’s the continuation of a process that, depressingly, revealed Robert De Niro to be perhaps the biggest A-list antivaccine celebrity out there. The researchers took prostate biopsies from 100 men aged 40–69 years who had a family history of prostate cancer. They found that one quarter of the men had tumours — nearly half of these were a more aggressive form of the disease, known as non-indolent prostate cancer, that required immediate treatment. While ctDNA technologies build on the successes of analysing foetal DNA for non-invasive prenatal testing, and show clear promise for the treatment of cancer, the technology is still new, there are uncertainties about its clinical utility, and financial costs are unclear. Our approach has already set a benchmark for access to gene testing. A number of NHS gene testing services have used our freely available resources to implement their own models, while AstraZeneca has begun an international study that is trialling our mainstream model in the USA, Spain and Italy. “Because this study included 225 patients with different types of cancer, confirmatory clinical trials in specific patient populations are necessary to precisely define the role of abemaciclib in cancer care." The Experimental Cancer Medicines Centre (ECMC) Collaboration Agreement will improve the network’s ability to carry out early phase clinical cancer trials, boosting research and development in the UK and bringing innovative new treatments to patients sooner. France's Regional Health Agencies will be asked to carry out inspections at all clinical trial centers in the country, together with the National Agency for Medicines and Health Products Safety (ANSM). 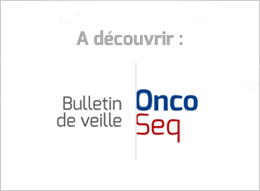 The latter agency will start producing monthly reports of all serious, unexpected side effects in phase I and II studies, and a new expert group at ANSM will review and approve each study, Touraine said. Ipsen in collaboration with Exelixis will share these results with European regulatory authorities and evaluate potential next steps in development and submission strategy for cabozantinib as a treatment of first-line advanced renal cell carcinoma. Sandoz believes that the totality of data in its submission will demonstrate that our biosimilar rituximab has essentially the same biological substance as, and the final drug product is highly similar to, the reference product. Delivering sensitive information to dying patients is difficult for many oncologists and many avoid such discussions. Indeed, 38 percent of the patients had never discussed their prognoses with their oncologist. It’s a running joke that no matter what symptoms you plug into WebMD, cancer is one of the possible diagnoses. So I was pleasantly surprised when cancer wasn’t high on the list in a search I did. But it should have been. The study explored the reasons why some people are more likely to worry about wasting a GP’s time and delay reporting possible cancer symptoms. A man died from operable cancer after an NHS trust failed to act on advice from another hospital, an ombudsman's report has revealed. Pharmaceutical giants said a leave vote would come at “the worst possible time” in drug development, creating uncertainty which could disrupt major advances in the pipeline. Researchers can now create or connect their ORCID identifier (ORCID iD) in the Research Councils’ grants system (Je-S) by logging in to their personal information page. This is an important first step towards improving the flow of research information across the higher education sector. In reality, the contents of electronic records may be limited by doctors’ concerns about disputes with patients about what the records say, fear of malpractice litigation, and questions about how much information to give certain individuals like minors and people with mental illness, these physicians argue. The commercial antibody market is already a mess, although that’s not a new development, but it’s gotten messier.